Primary appendiceal neoplasms are relatively uncommon but are being detected with increasing frequency as an incidental finding at cross-sectional imaging. 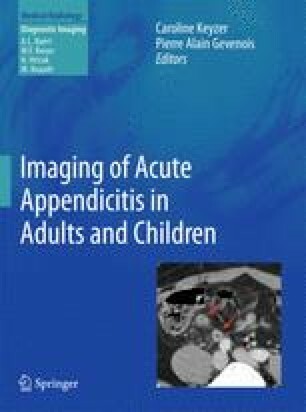 Clinical presentation of acute appendicitis related to tumoral obstruction represents the other major clinical manifestation of primary appendiceal neoplasms. In either case, radiologists should be vigilant for imaging findings suggestive of underlying tumor. Mucoceles resulting from mucinous cystic neoplasms account for the majority of appendiceal neoplasms detected at cross-sectional imaging, whether manifesting as a symptomatic lesion or as an incidental finding. Other primary tumor types that may be encountered include colonic-type adenocarcinoma, carcinoid tumors (classic, tubular, or goblet cell varieties), and non-Hodgkin’s lymphoma, among others. In addition, non-neoplastic processes may mimic a tumor at imaging. This chapter will review the salient clinical and imaging features of primary appendiceal neoplasms.